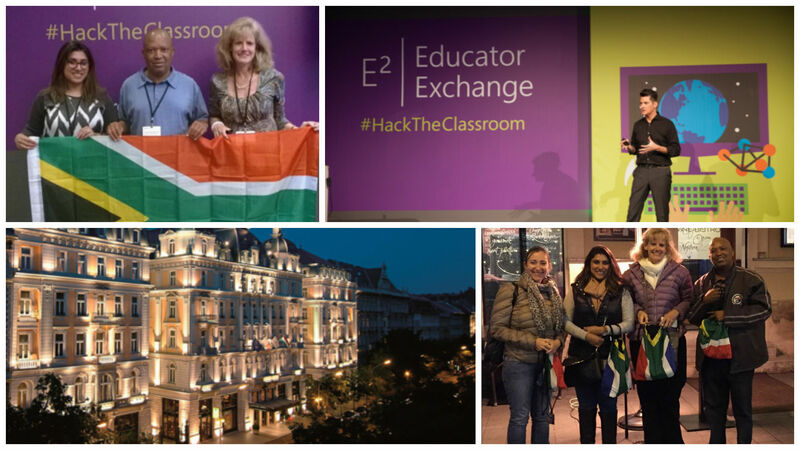 Three South African teachers join 250 global teachers at the Microsoft E2 Teacher exchange in Budapest. Will it be you, next year? 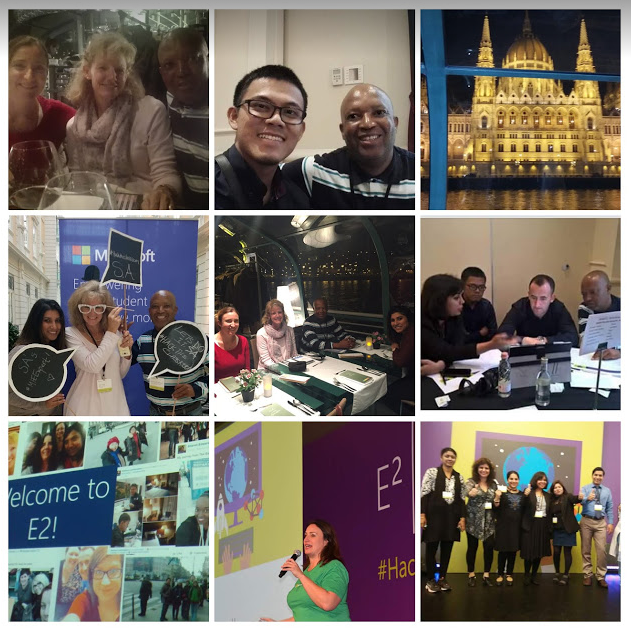 Three of our Microsoft MIEExpert teachers were selected to attend the dazzling Microsoft E2 Global Teacher Exchange in beautiful Budapest this year from March 8th - 10th. Keshma Patel (Micklefield School, Western Cape, Moses Sello Sehoole (Mankuroane Technical and Commercial High, North West Province) and Tracy Heath (Brescia House School, Gauteng) left our shores earlier this month, along with Angela Schaerer from Microsoft, to attend a conference where they would be surrounded by some of the most creative and innovative educators from around the world. We are hoping that our three SA teachers will write guest posts about their experiences on this blog in the not-to-distant future. The E2 teacher education is Microsoft's annual education event recognising and celebrating the achievements of educators to combine content, pedagogy and technology in innovative ways to prepare students for success. 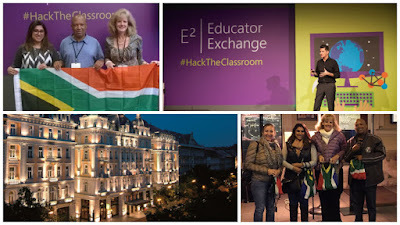 Our three South African teachers joined around 250 of the most innovative teachers that Microsoft has sourced from around the globe for this fantastic event. Their purpose was to share experiences collaborate on projects and learn new techniques to integrate technology into the classroom. This year the venue was the glittering Corinth hotel shown in the collage above. Below are two photos of Budapest taken by Keshma Patel. Tech learning market place – share and learn from peers who are using Microsoft technologies innovatively. For this section I have drawn extensively from the three blog posts mentioned in the bibliography below. Here is an image of some of the projects demonstrated. Even our own dear Nelson Mandela was quoted on screen at the conference. This short video 'Thank you MIE Experts' (http://bit.ly/1Y0o5CN) uploaded by Microsoft gives one the feel of this amazing conference. Propose an innovative solution that is reasonable to implement taking into consideration the technology available to the team members in their home situations. The hack also had to match their assigned persona. Here is an image of Moses from South Africa with his group designing their 'Hack the classroom' challenge. You can watch the live streaming recording taken of the 2nd day if you visit this link (http://bit.ly/1OsxxIt) on the Microsoft Education Community and register. You'll hear from Anthony Salcito, Vice President, Worldwide Education at Microsoft and Stephen Reid, Creative Director for ImmersiveMinds, who shares innovative approaches to learning enabled by technology, including game-based learning, as well as some of their favourite ways to #hacktheclassroom. 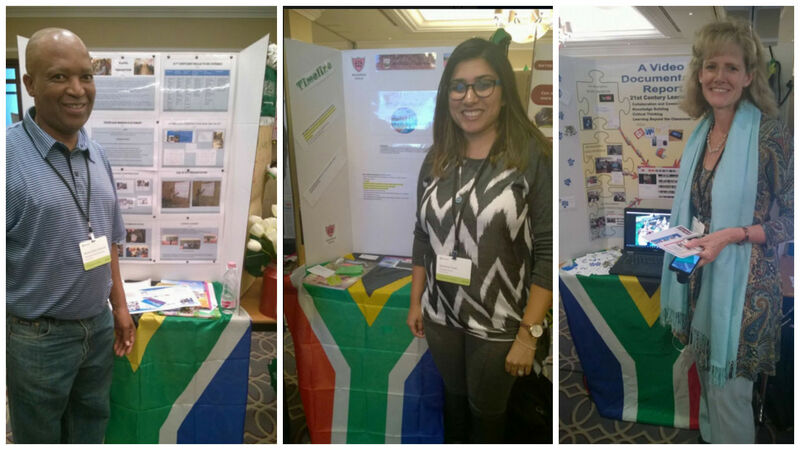 South Africa: ‪#‎MIEE 2016. 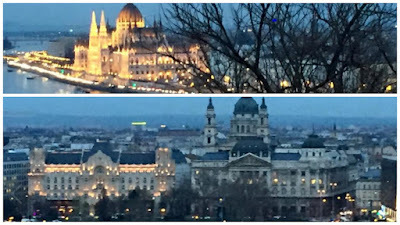 Back from Exchange Conference in BUDAPEST, HUNGARY. 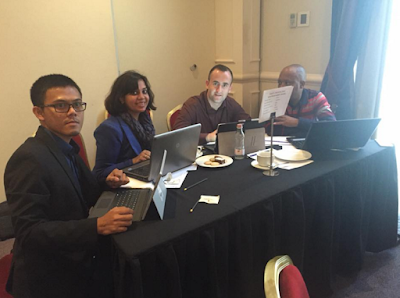 We are back and ready #‎hack our classrooms ‪#‎Share good practices.Thank you Microsoft for Educator Empowerment. If you are a teacher who likes to be innovative in the classroom, think about entering Microsoft's Innovative Teacher MIEExpert program in 2016/2017 when applications reopen later in the year. You can learn more about the program at this link http://bit.ly/1H4gKcB on the Microsoft Educator Community. You could be the one attending a Microsoft E2 Teacher Exchange next year! Why not join SchoolNet's free membership program? 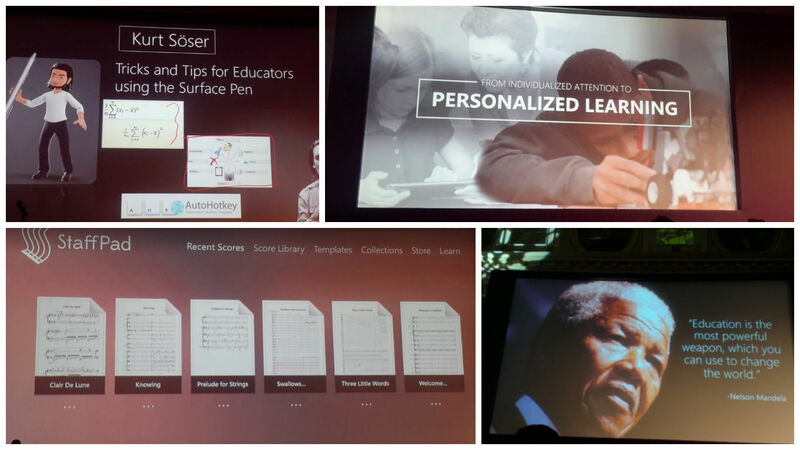 SchoolNet started a free member programme for South African educators towards the end of 2011 as a way of providing various free, online professional initiatives that focus on integrating ICT into daily teaching. What does Schoolnet's membership programme include? We can be reached on Twitter at @SchoolNetSA. We send out a regular newsletter to keep our members informed of all our happenings, upcoming events and opportunities. View our SchoolNet Weeky Times which is an online newspaper collection of our weekly tweets made using Paper.Li. View our curated online newspapers on topics of interest made with Scoop.it. These include topics such as Learning with tablets, Tablet-use videos, Using gamification in education etc. have the opportunity to grow personally and become more proficient in integrating ICT into your daily classroom routine by enjoying an online professional development experience. 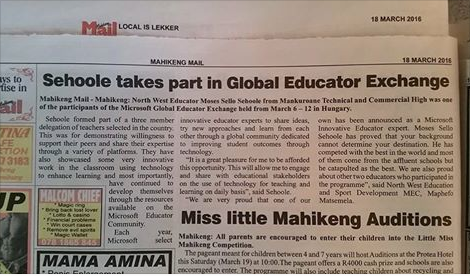 This is available to all South African educators. 1. Go to the Schoolnet website's home page and click on ‘Sign up for SchoolNet membership’. 2. Follow the prompts and wait for confirmation of your username and password. 3. Contact fiona (at) schoolnet.org.za if you experience any difficulties. Why not explore Microsoft Math this Easter break? What makes Microsoft Math so great? Students can also compete with others to see who can reach the top of the rankings. Is Microsoft Math useful for teachers? Yes! It helps teachers to improve their own skills and working methods. Teachers gain access to a rich exercise bank to ease class planning. The interactive system provides them clearer understanding of their students’ skills – and a new channel to communicate with and motivate them. Microsoft Math is also available as a Windows Phone application, which makes the service content accessible offline allowing students to continue practicing even without internet connection! Explore Microsoft Math this Easter holiday! This is another guest post from Anthony Peters @apeters522 who is a very innovative English High School teacher from Parklands College in CapeTown who delights in using technology in the classroom creatively. We are always delighted to publish posts by Anthony. You can view all his previous posts on our blog via the Anthony Peters label under ‘Quick links’ on the right side. Grade 7 enjoyed a whole programme with a spectrum of activities for South Africa's Library Week. The foci of these activities orientated around improving setting and character descriptions for narrative writing. The first app used was Tell A Tale and it provided the learners the first and last lines of a typical story, as well as three objects or characters. 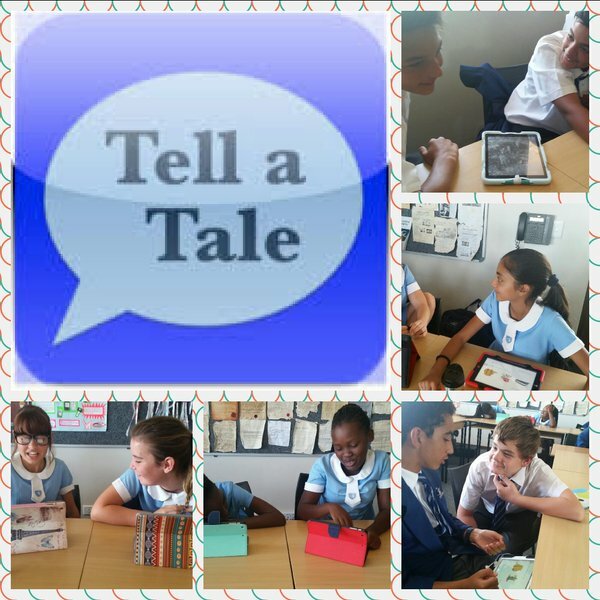 Learners were paired up and given only three minutes to compose a short one-minute story. After the time was up, they then had to read their creations to their partners! The aim of this was to encourage refined creative thinking whilst under pressure and also to practise the main elements of narrative structure (setting, challenge, climax and resolution). Despite the diminutive timeframe, the learners performed admirably and came up with an array of fantastical plots! 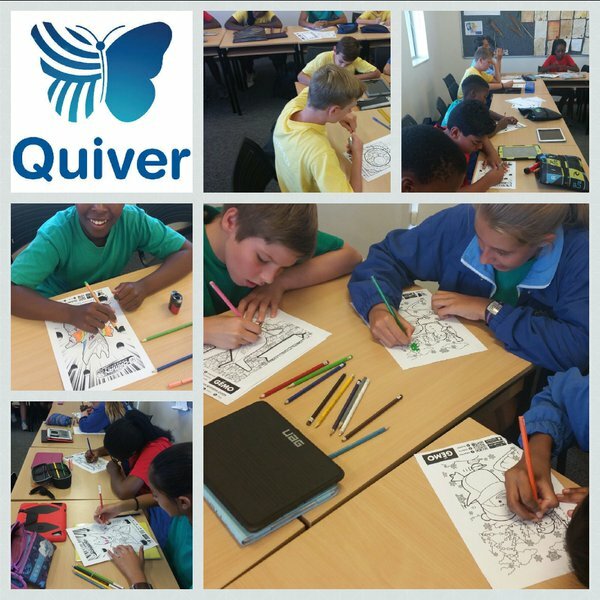 The following day, the learners freed their creativity with an Augmented Reality app called Quiver. The relationship between characters and young authors is often lost and so by colouring in a variety of templates, the Grade 7s actively engaged with the stimuli in order to gain a deeper understanding and appreciation of characterisation. After finishing the templates, the app brought the images to life off the paper and into 3D! Therefore, robot warriors, dragons and fireworks literally flew off the pages and joined us in the Learning Resources Centre! Thanks for this post, Anthony. This writing lessons sounds like another of your really well thought out, exciting lessons that the students will long remember. Thank you again to you and the creative English Department at Parklands College in Cape Town for sharing this inspiring lesson with us. This is the sixth post in the series "MIEExpert Spotlight for South Africa". The tab with all the posts can be found at: http://bit.ly/1ZYy8Z7. Today we focus on Karen Stadler who is the Senior Primary Technology Integration Specialist at Elkanah House Senior Primary in Cape Town. She is also a 2016 Microsoft MIEExpert Educator. Karen is well known globally especially for her Travelling Rhino project and her award-winning wiki. 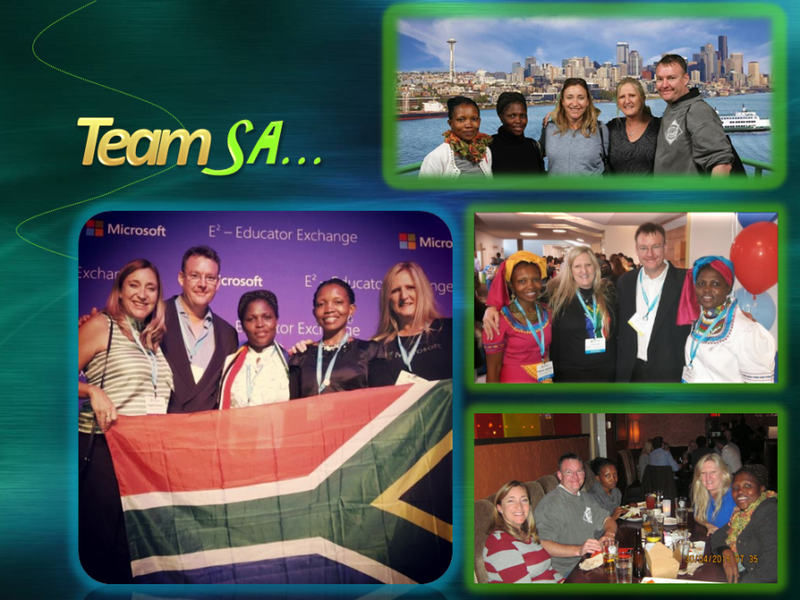 In 2015 Karen represented South Africa at the Microsoft Global Forum in Dubai and she wrote an excellent blog post about her experience there. Karen Stadler from Elkanah House in Cape Town has used technology to make learners in over 100+ classes in 55 countries (at the last count) aware of the plight of rhinos in South Africa. Karen’s ‘Save our rhinos’ project involved hand-made rhinos travelling to classrooms around the world to raise awareness of the fact that rhinos are facing extinction and to unite the voices of the children of the world to ensure the future existence of the rhino. Karen says that whilst the ‘Save our rhinos’ project is the project of my heart…not in my wildest dreams did I think that two and a half years down the line my rhino project would still be current and growing in momentum.” The project has pulled at the heartstrings of teachers and students and has inspired classes in every continent to either conduct their own activities to raise awareness about rhinos or to at least become more aware about rhinos and the myths surrounding their horns. 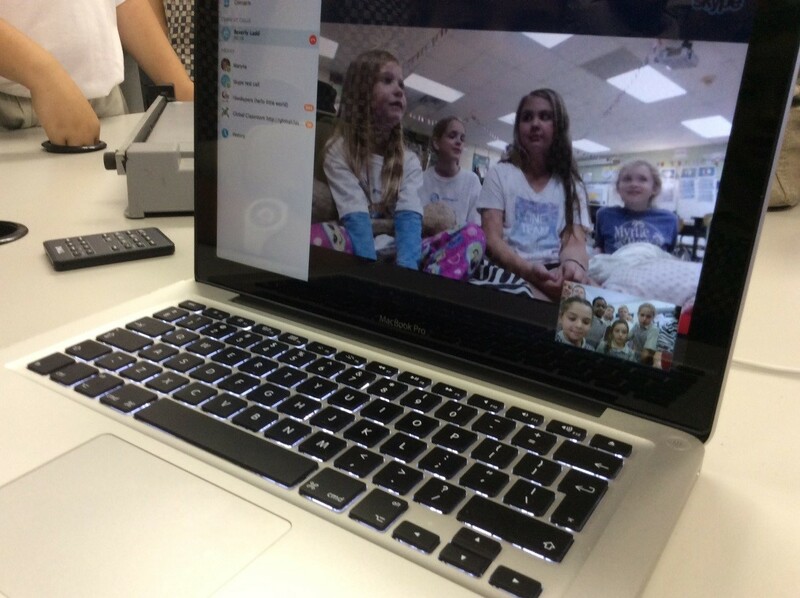 Although Skype has made it easier for teachers trying to set up collaborative projects, Stadler notes that “Time zone differences when using Skype are always a challenge. 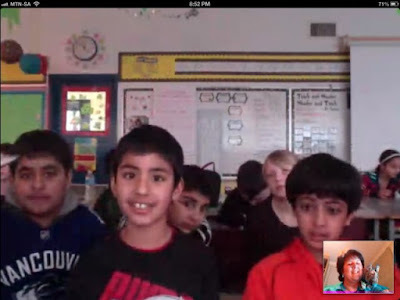 We have to prepare well before and try to work around time zones.” The Skype in the Classroom website can help teachers to overcome this challenge by finding teachers and classes who wish to collaborate who live in similar time zones or teachers can use asynchronous tools to communicate at times where it is not possible to chat at the same time. 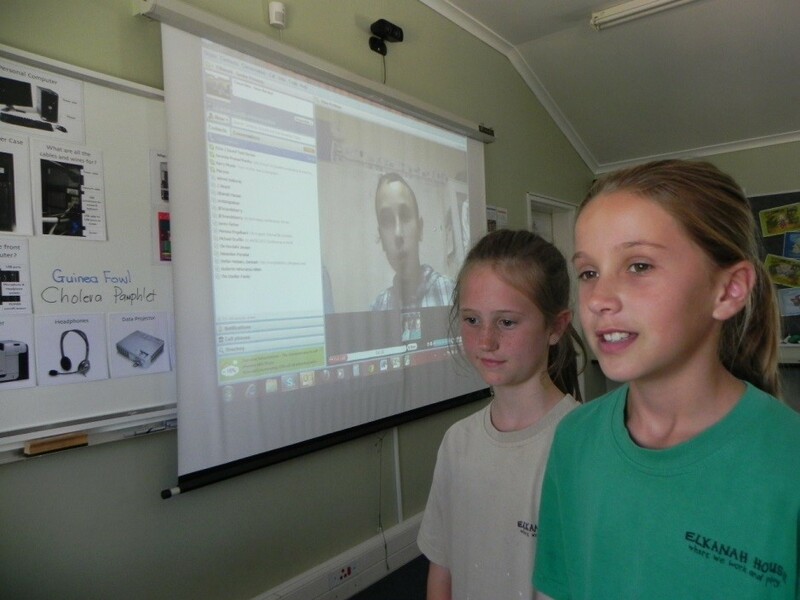 Stadler says, “The new Skype Translate looks as though it could be a very useful tool as it will make it easier to connect students who do not share a common language." You’ll find a number of Skype lessons on the Microsoft Educator Community at http://bit.ly/1VizGOL. Once you are signed in on the Microsoft Educator network type 'Mysetery Skype'into the search bar to find teachers wanting to set up a Mystery Skype collaboration. Mystery Skype is when two teachers set up a Skype experience between their classes. The classes have to guess each other's location. If you are a teacher who likes to be innovative in the classroom, think about entering Microsoft's Innovative Teacher MIEExpert program in 2017 when applications reopen later in the year. 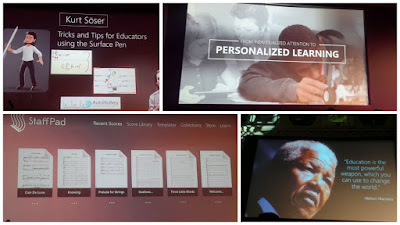 You can learn more about the program at this link: http://bit.ly/1H4gKcBon the Microsoft Educator Community. The African Storybook project (http://www.africanstorybook.org/) , a wonderful repository of Creative Commons stories, beautifully illustrated, for the children of Africa, has changed its website to a new design. It is not very easy to find your way around the new website and the actual stories don't have links that enable one to find them again. (The only way i could find a link to a story was to email it to myself using the Share button). Nevertheless this is a site every teacher should know about and use in the classroom. 1) Is there anyone like me? So, after you have read a couple of these stories pop over to the African Storybook project website and take a look around. As you do ideas will strike you on how you could use this wonderful website in your classroom. 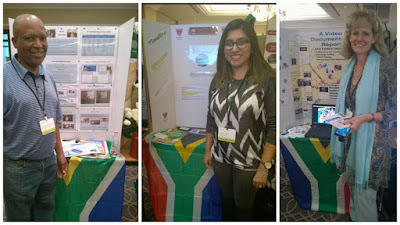 In her previous position, at Elkanah House High School in Cape Town, Linda was involved in creating learning activities for staff, students and teachers on a continual basis and providing professional development and support for staff in integrating technology into their teaching. Linda noted that as their school was running a Bring Your Own Device program “it was necessary to find a manageable work flow which embraced teaching and learning for all involved and took into consideration our bandwidth and other constraints which teachers face today.” Linda found that OneNote played an important role in empowering teachers to actively use ICT in the classroom as she was able to show them how they could plan meaningful lessons using the Microsoft Office tools which they were already familiar with and which students could access on a range of devices. 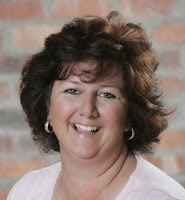 Linda's 'BYOD Shared OneNote Resource for Teachers' is updated almost daily and shared with teachers across the globe. It is very useful tool for me to share in the classroom with children and when preparing for subject related lessons. The tools are thoroughly researched and tested on all platforms and devices, so the work is done for the busy teacher. I update the resource with my conference talks, webinars and TeachMeets and share the same notebook at conferences as a resource. You'll find it here. 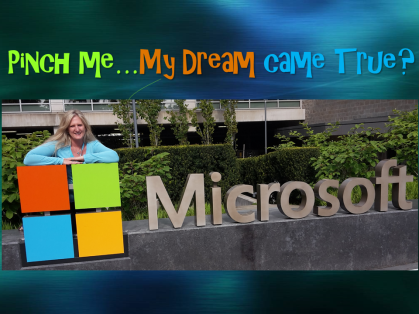 As a Microsoft Innovative Educator Expert, Linda was selected to attend the 2015 E2 Educator Exchange in Redmond and found it to professional development at its best! She loved the collaborative opportunities the Global Exchange afforded her such as being part of a group project with other MIE Experts from all over the world, crossing language barriers and learning about their environments within education. We invite you to join Victor Ngobeni (@victorn) who will be hosting Gizem Lislas (@gizemlislas) at a free Microsoft webinar this Thursday 9th March at 3pm. Gizem Lislas is the Windows Consumer Product Marketing Manager at Microsoft South Africa. Time: Thursday afternoon 10th March 2016: 3pm – 3:45pm.